North Coast Windscreens Noosaville workshop is easily located, and our Autoglass technicians will helpfully address any customer enquiry if you choose to visit in preference to a phone call. If you feel a windscreen replacement may not be so straightforward, often an appraisal of the concerns can offer a satisfactory solution. With an extensive range of windscreens locally stocked we are generally able to have you safely back on the road within a short period of an appointment time. Insurance claims for windscreen replacement can be organized and processed on our customer’s behalf whether that applies to the Family Car, Classic/Exotic Collectors Car, and Commercial, 4WD, Camper Van, RV, Bus, Truck or Earthmoving vehicle. Due to Australian Safety Standards regarding the drive away time applied to most make and models of vehicle after a windscreen replacement, allowing enough time for a curing process after the installation is important. Most modern vehicles rely on the structural integrity of a windscreen bonded to the cabin, allowing airbags to deploy whilst applying pressure to the windscreen maintaining the correct position, for the protection of passengers. Time requirement will be advised at the time of making a booking. Where a genuine windscreen (O.E.) fitment is a requirement, our customer will be advised of the availability, and time of delivery. All Solarised, Encapsulated, Acoustic, Sola Control, Low-E or Accessorized windscreens with antenna or rain sensor, are supplied and fitted in accordance with manufacturers specifications. Aftermarket windscreens are manufactured to O.E. (Original Equipment Manufactured) specifications, and only safety tested proven products are used where adhesion is a requirement. 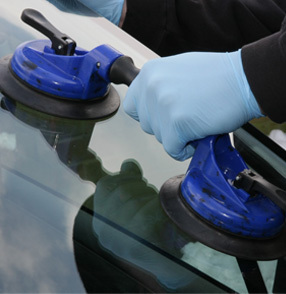 North Coast Windscreens technicians are industry certified and always mindful of best practise Autoglazing procedures. All North Coast Windscreens auto glazing workmanship is backed with a guarantee of best practise fitment, adhesion, and manufacture warranty against distortion and delaminating of windscreen.